A baseball and football coach at Herndon High School for 30 years, McCullock won 235 games and two Group AAA Northern Re­gion championships over 15 years as the Hor­nets’ head coach. After starring at Lee High School, he served as a three-year captain at Concord University in West Virgin­ia, then played for years with the Industrial League’s Springfield Rifles. Joins his father, Al McCullock Sr., in two capacities – in having a field named after him, and as an HPC Hall of Farner. McCullock is retired and resides in Leesburg. Raley teamed with his brother, Tim, to lead Potomac to a 21-0-1 record and a Group AAA state title in 1983. After hitting .565 and going 6-0 on the mound as a senior in 1984, Raley became teammates once again with his brother, who is one year his elder, at Wichita State. He was a Freshman All-American in 1985, helped the Shockers reach the College World Series in 1988, and would play four professional seasons before retiring in 1992. Raley currently serves as an assistant coach at Potomac and resides in Dumfries. 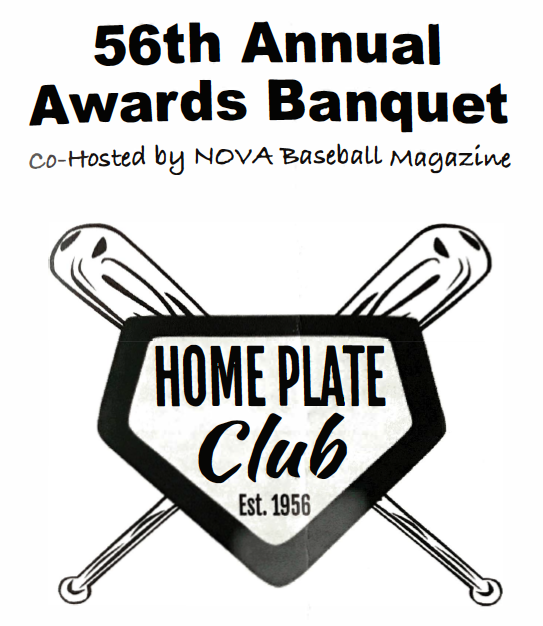 Big crowd at the 56th Annual Home Plate Club Awards Banquet. Kevin Ford was named the Ron Tugwell Coach of the Year. Ford, in his 11th season as the Chargers’ coach, led them on a 19-game winning streak that was capped by a 3-2 walk-off win over Battlefield in the 6A state final. Chantilly went 25-2, repeated at 6A Confer­ence 5 champions, and won their second 6A North Region title in three years. Ford entered the 2017 season with a 155-95 overall record at the school. Will Thomas was named the Bob Menefee Man of the Year. Thomas, a resident of McLean and senior at Gonzaga Collegiate High School in D.C., founded Operation Hawkeye in 2011 to benefit the families of fallen military Special Forces operators. Last year, his StrikeForce fundraiser netted over $20,000, which was raised via monetary pledges toward each strikeout he and five teammates recorded in the summer and fall seasons. Counts, who is in this 18th season as the associate head coach at Madison High School, was diagnosed with colon cancer and began chemo­therapy treatment in the fall of 2015. While maintaining his responsibilities at home, work and on the diamond, he had surgery in January 2016 and was declared cancer-free in July. Nolan coached at Paul VI Catholic High School for 14 seasons, his last four as the Panthers’ head coach before retiring after the 2016 season. The California native posted a 77-37 record as head coach, and the program claimed four VISAA state championships and three WCAC titles during his time at the Fairfax school. Ritchie founded Bat2Basics.org three years ago, collecting used baseball equipment, uniforms, and apparel to send to youth players in the Dominican Republic. A senior at Broad Run High School, the shortstop will continue his academic and baseball career at Johns Hopkins University in Baltimore next year. Herrity, like his father a longtime key figure in Fairfax County as the Supervisor of the Springfield District, has been a big advocate of youth sports in the county. The Supervisor played a key role in the approval of a decade-long effort to finalize plans for an artificial turf baseball tournament facility at Willow Springs Park. Bowden, who serves as the Director of the Planning & Development Division for the Fairfax County Park Authority, was key in the approval of an artificial turf baseball facility at Willow Springs Park while working with the Fairfax County Athletic Council, Board of Supervisors and VDOT over the past several years. Thompson played a key role in the approval of the turf baseball facility at Willow Springs Park. 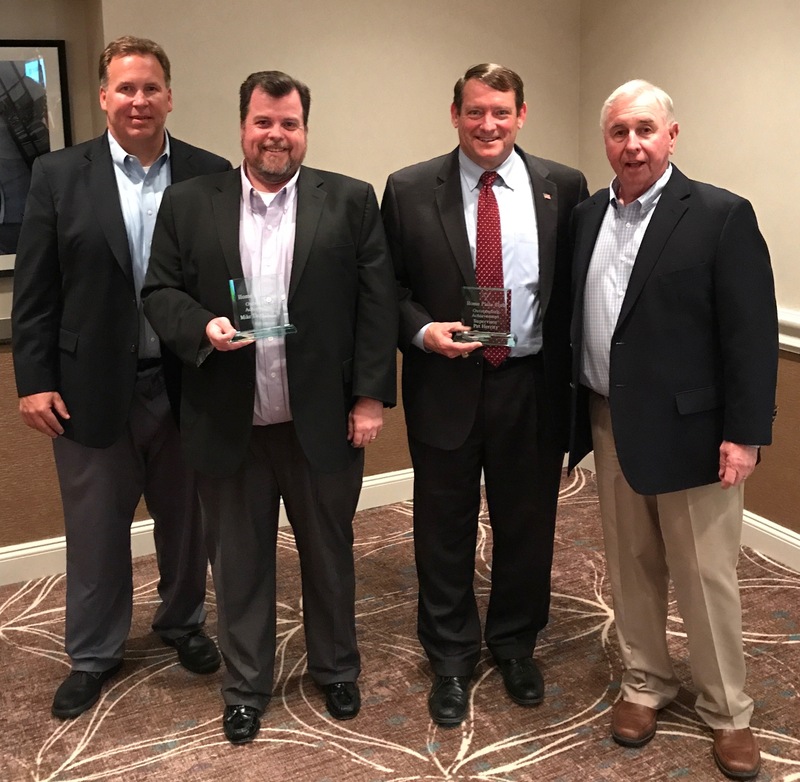 The Springfield representative on the Fairfax County Park Authority, he also serves in sever­al other capacities in the county’s sports spectrum, including on the Fair­fax County Athletic Council and as the President of the Burke Athletic Club. 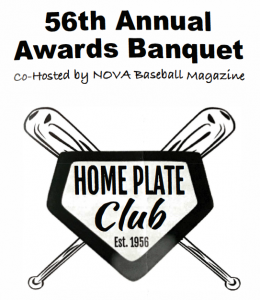 NOVA Baseball Magazine’s Teams of the Year were also recognized. The eight-team included Marymount University, Falls Church Barons, Chantilly High School, Paul VI Catholic High School JV Stars 17U Red, MVP Terps 14U Blue, Loudoun Aces 1 OU Blue, and Loudoun South Little League 9-10 American. Editor’s Note: Descriptions of awards and winners are from the program of the event. More photos here in the NOVA Baseball Magazine’s Facebook post from the event.